You know, our nation truly is incredible. Never before in history was a nation founded with such wonderful freedoms, such patriotism, or such fierce loyalty to liberty. 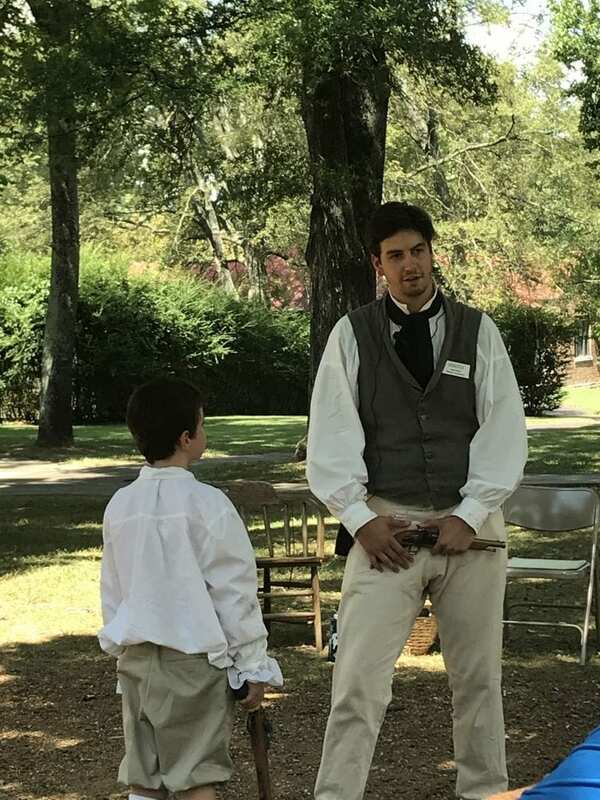 Part of sharing that legacy with our children should include letting them walk where great men walked, letting them see, hear, and experience living history in the many incredible locations we have been able to preserve in America, and letting them ponder the significance of the choices these founders and influencers made and why they made them. Truly the purpose of field trips is to allow our children to grasp fuller understanding by experiencing living history. Letting our children wonder over, around, and through big ideas, even when they are young, sets them on a path of adventure that can only be found through deep thinking and exploration of the ideas, beliefs, and reasons behind choices that have formed our history. If they have never pondered why someone would sail off into unknown waters to attempt to discover new lands, they might never be inspired to try something equally as full of promise because they have a fear of the “unknown”. Are you ready to dive into the wonders of history in real life? 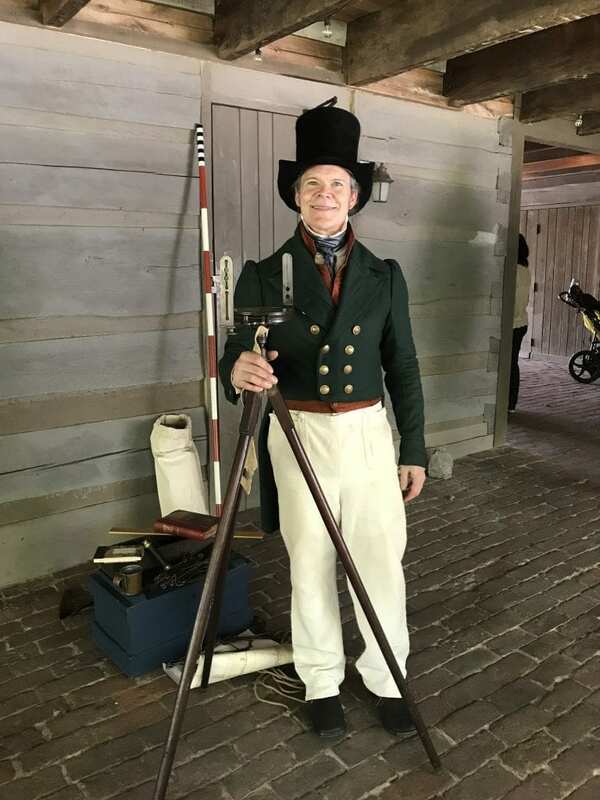 A living history field trip is about as close to a time machine as we can get, so lets imagine the whirring gears and flashing lights and feeling of free falling as we enter the era of . . . In Nashville, Tennessee, there is a wonderful presidential home called The Hermitage. 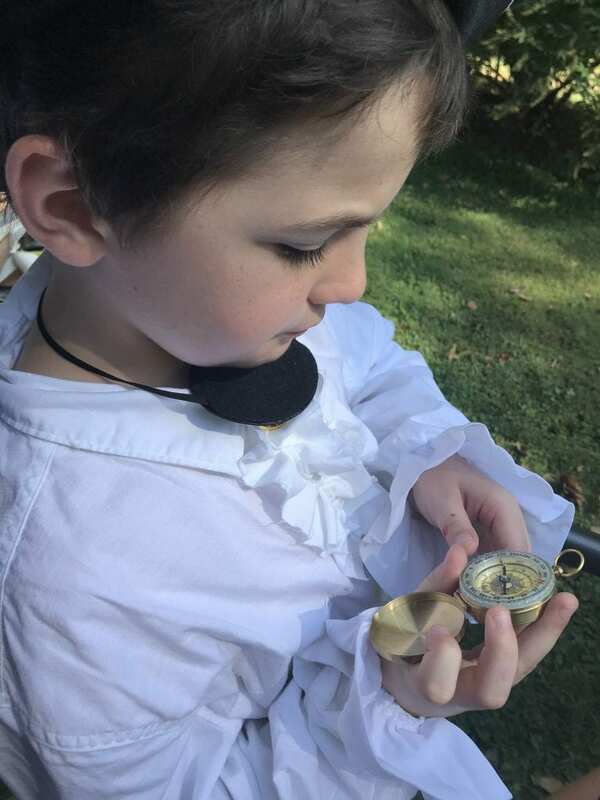 We had the opportunity to go visit during one of their homeschool days (all about the pirates at the Battle of New Orleans) so we hopped to the back of our All American History book to learn about Old Hickory, himself, before the trip. If you’re familiar with political history, you might have already known that Jackson was the polarizing personality partially responsible for the dual-party political system we have today. He was also a major factor in instituting the national political nominating convention. During the Jacksonian era of 1825 – 1849, there were also many states that began to loosen the requirements needed to vote in the political process. It was an exciting time in our nation’s history for sure! You can learn about all the Jacksonian presidents and the political events that happened during this era — John Q. Adams, Andrew Jackson, Martin Van Buren, William Harrison, John Tyler, and James Polk — in All American History Volume 1. For now, I’m going to tell you more about this incredible field trip location! 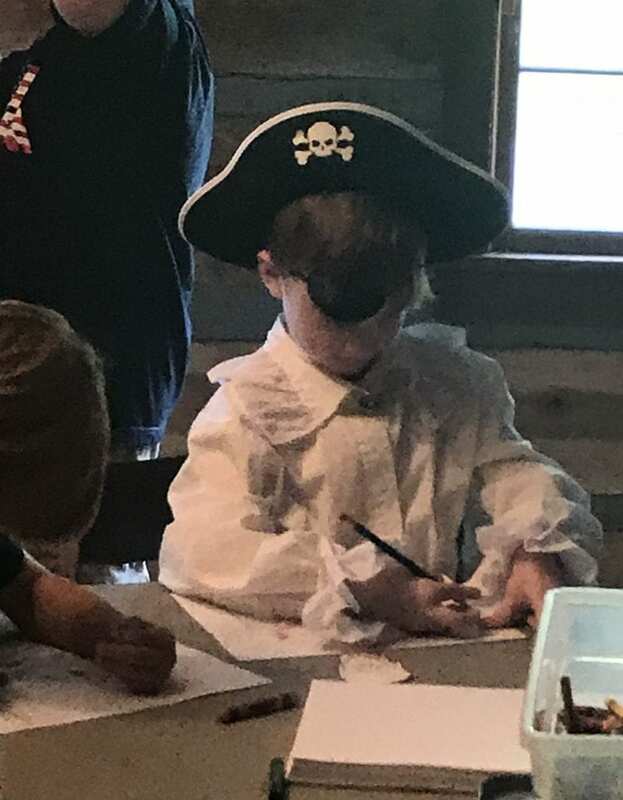 Our homeschool day at The Hermitage was all about pirates. Did you know they helped defeat the British at the Battle of New Orleans? Of course, it was to keep their necks out of the noose, but they did a bang up job at the cannons. (I’m sorry, I couldn’t resist) The British were demolished and that was effectively the end of the War of 1812. We met one of the men responsible for the victory, Major Latour, Principle Engineer. He helped to design the earthen wall at the Rodriguez Canal from which the Americans fought. He was also the planner of the city of Baton Rouge. He gave us a riveting retelling of those cold, rainy nights of the soldiers digging and building their protective wall in December of 1814. Then he showed the children how to measure by chain lengths for surveying. He told us stories of Andrew Jackson and how he was an excellent military leader with very brave troops, even though they lacked formal military training. He even let us in on a secret. The famous pirate Lafitte wasn’t actually at the battle. The Baratarian pirates were, and even though they made up a very small percentage of the fighters their canon expertise was invaluable. The boys are still talking about the cool tools Monsieur Latour let them see! Because navigation is an important skill, there was a lesson on reading a compass and then a special treasure hunt using our newly acquired skills to find a secret place. We also learned that measuring by “steps” is not very accurate since everyone does not have the same length legs. We talked about how navigating the new lands to the west and navigating at night on the sea might be difficult and thought of some ways the settlers and pirates might have compensated for directional challenges. It was a lovely exercise and one I think we will repeat often as we are back in the earlier stages of All American History now with some explorers who seem to get lost often. 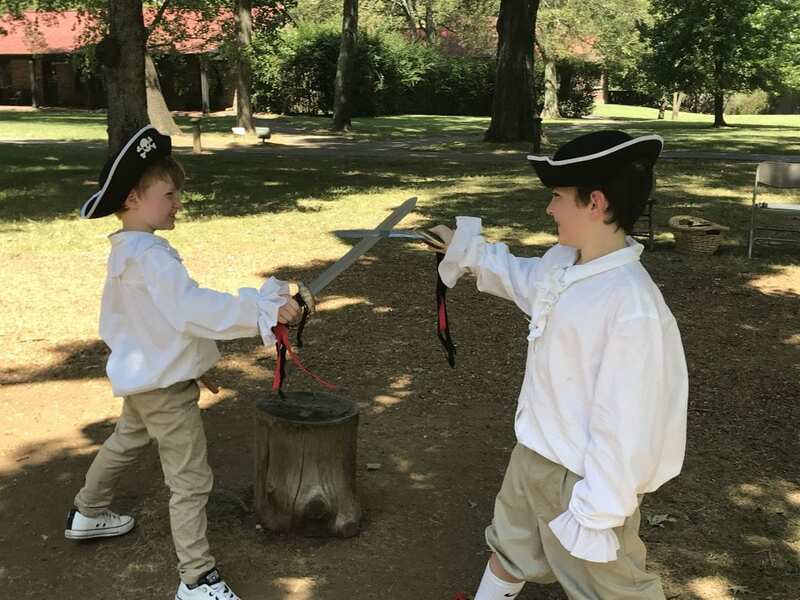 There were several great activities for the students including a Pirate or Privateer lesson where we learned about pirates and privateers like Blackbeard, Sir Francis Drake, and Anne Bonny. We cracked codes and ciphers to keep the British from discovering our plans, and there was even a rousing game of capture the flag. This was all part of the homeschool day curricula and the boys thought it was incredible. You cannot take pictures inside The Hermitage, but this was outside waiting for our tour. This little boys always finds the insects, no matter where we go. Or maybe they find him? I digress. The Hermitage was Andrew Jackson’s home with his wife Rachel. She would not recognize the home as it stands today. Rachel died in 1828 and there was a major renovation in 1831 followed by a fire and another renovation in 1834. 1834 is when the magnificent columns were added to the front of the house and the inside was brought up to the contemporary fashions of Greek Revival. While touring the home, we learned about the many esteemed visitors and friends Jackson had through his home during and after his presidency. We learned about his adopted Native American child, Lyncoya, as well as the many other children Jackson was a guardian and adopted father to. We saw the well-stocked library with it’s woven carpet, the French wallpaper, and the special guest rooms where company would sleep 2 and 3 to a bed. We also learned about duels. There are many stories about Andrew Jackson and his temper with estimates of over a hundred duels. The truth, however, is less legendary. Andrew Jackson participated in 3 formal duels in his life. One ended very badly for his opponent. The rules for dueling were very stringent and not at all like Hollywood makes them out. In fact, they were pretty much pre-meditated murder at close range between “gentlemen”. Yikes! 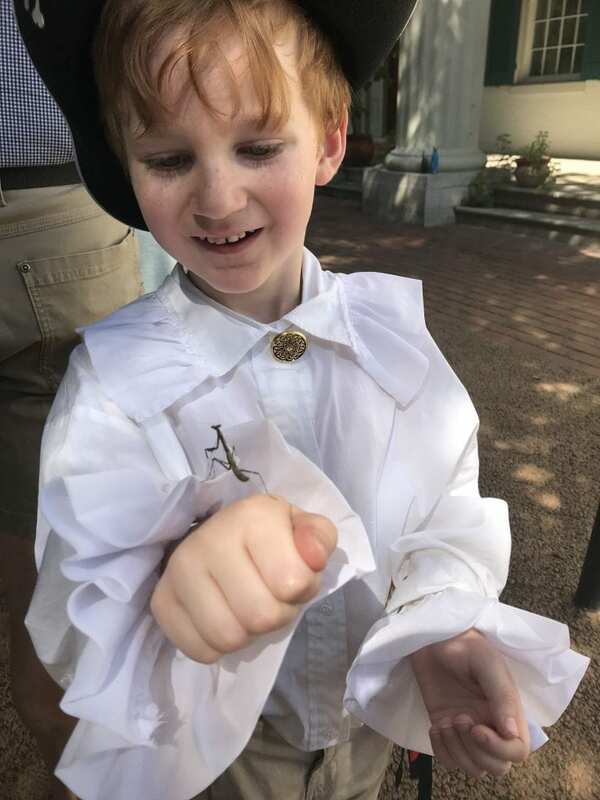 The best part of our wonderful field trip was that the boys could not wait to get back to all our All American History studies to find out more about the fascinating, though not always pretty or right, and always incredible history of the United States of America. 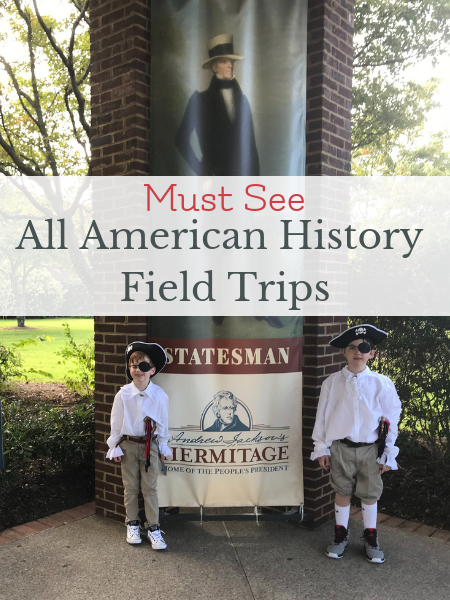 If you’re joining us in studying American history, I would definitely recommend The Hermitage as a must-see field trip during your Jacksonian studies! This post is brought to you in partnership with Bright Ideas Press. We received All American History for review purposes and were compensated for our time. All opinions are our own and we were not required to post a positive review.